Mark Feb. 21, 2016, on your calendar. Finally, after a decade of watching other teams play outdoors in Boston, New York and even Los Angeles and soon to be Santa Clara, Calif., the Wild will get its turn to take its game out into the Minnesota winter. On Saturday, the Wild was officially awarded a Stadium-Series game next season by NHL Commissioner Gary Bettman during All-Star Weekend n Columbus. The game will take place against the Chicago Blackhawks at the 52,525-capacity TCF Bank Stadium in Minneapolis. "The players that I know that have played in one say the whole event is a great experience, not just the game itself," Zach Parise said via text. "Having one here is a little bit overdue, I think. 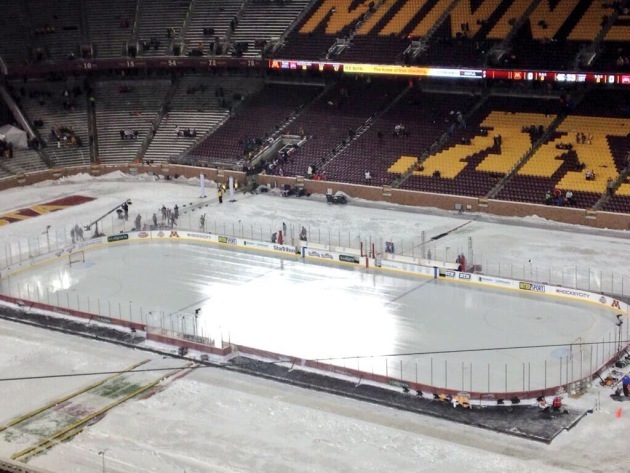 Outdoor hockey is part of the culture in Minnesota." Because TCF Bank Stadium was chosen by the NHL over Target Field only in the past few days, there is still a lot of planning that needs to be done in order to make this happen. The Wild will have to get with the University of Minnesota and TCF Bank Stadium to rent out the venue for Hockey Day Minnesota, then sublease the rink from the league. Also, ticket information will be released at a later date. The Wild is also talking to Fox Sports North about a behind-the-scenes reality show similar to HBO’s 24/7. 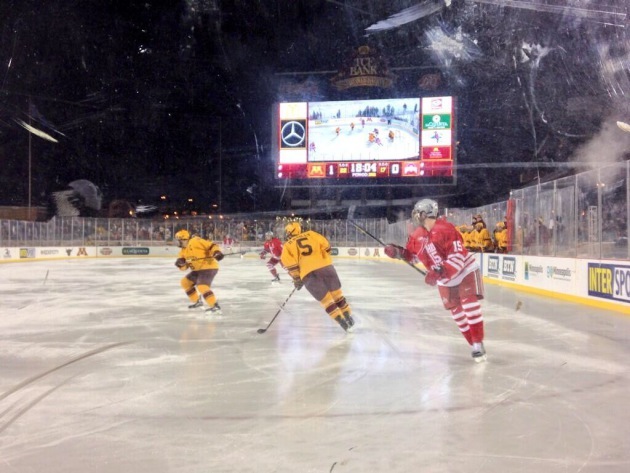 Last January, TCF Bank Stadium hosted the Hockey City Classic. 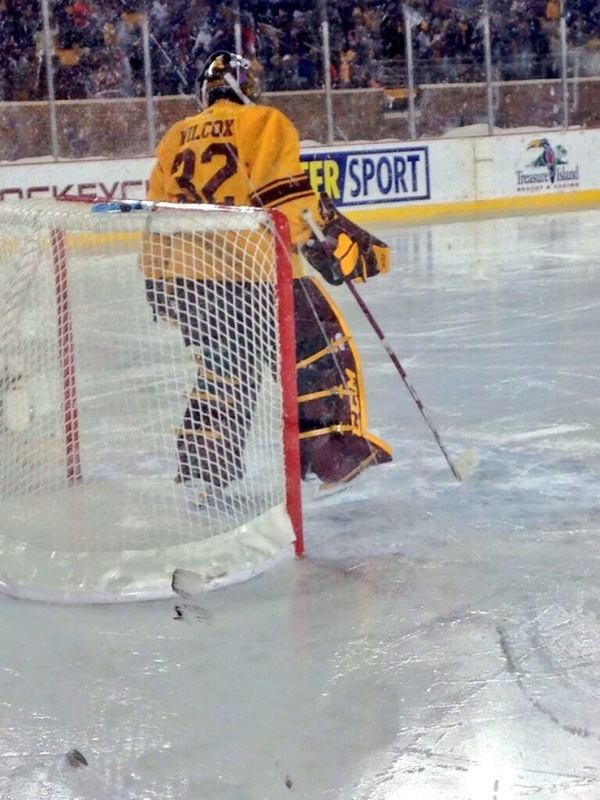 The Gophers’ women played Minnesota State, while the Gophers’ men played Ohio State. The announced attendance for the men’s game – a 1-0 Gophers win -- was 45,022 – the largest crowd to ever see a hockey game in Minnesota. Leipold again made clear Saturday that his ultimate objective is to bring Minnesota the New Year’s Day Winter Classic. The league and NBC has so far scoffed at giving Minnesota a game because the Wild’s not considered a national, marquee draw. So upset at that sentiment, Leipold had previously turned down the chance of hosting a Stadium Series game or being the visitor in the Winter Classic until recently having a change in heart. With the amount of Minnesotan former NHLers, North Stars and Wild players, the alumni game will be a must-see event. The Wild and NHL are already kicking around ideas regarding the makeup of teams and captains. The great Brian Rolston, who hit the 30-goal mark in all three seasons he played for the Wild, already says he’s in. “I would be honored to play again in the great State of hockey, where I enjoyed my best years in the National Hockey League,” Rolston said via phone Saturday. “When you think about outdoor games in the United States, the first thing that would come to mind is Minnesota. It only seems fitting to have the outdoor game in Minnesota, where so many young players started their careers on frozen ponds or lakes. The NHL also announced Saturday that the Boston Bruins will host its second Winter Classic next Jan. 1, this one at Gillette Stadium, against the Montreal Canadiens, and that the World Cup of Hockey will return to Toronto in 2016. A second Stadium Series Game was awarded to the Colorado Avalanche, who will play rival Detroit at Coors Field.